Nyren's Corner: Would a Portable PlayStation 4 be Viable? The PlayStation 4 is a powerful console and has been on the market for nearly 4 years. It’s install base has grown considerably over those four years, thanks in no small part to their quality stable of first party exclusives and Microsofts blunders at the beginning of the generation. Originally, the PlayStation Vita was the companion handheld for the PlayStation 4, but it was limited to remote play which required you maintain some form of connection to your PS4 console. This is entirely different from the concept of the Nintendo Switch where the tablet is the entire console and you can take it anywhere you want, no strings attached. Earlier this year, a patent appeared for what appeared to be two halves of a Dualshock controller attached to a tablet. Since then, there have been multiple discussions about whether or not Sony would be following Nintendo’s lead and creating a hybrid device, one that marries the power of the PS4 with a handheld system, allowing users to play their PS4 games on the go without being attached to a PS4 home console. But is this really viable? The Nintendo Switch is bigger than the 3DS XL and that has been a bit of a sticking point for people who prefer more compact handhelds. The larger size was necessary to accommodate NVIDIA’s Tegra chip and a large enough battery to let the system run for at least 3 hours while on the go. The battery, like the handhelds size, has been yet another subject that often comes up as a negative for the system as most people expect a handheld device to have at least 6 hours of battery life, which is the upper limit for the Nintendo Switch. It takes third party accessories to extend the battery life, and that’s more money out of consumers pockets. 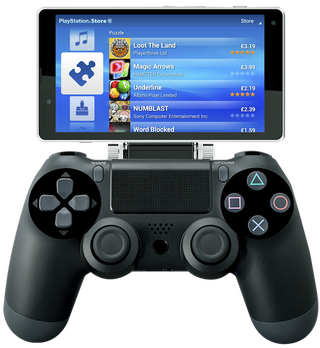 So would a PlayStation 4 handheld of the same sort be viable? Probably not. As I mentioned earlier, the PlayStation 4 is a powerful console, perhaps too powerful to fit into a handheld form factor that’s reasonable. At the time of its release, the Nintendo Switch was using NVIDIA’s most recent Tegra chip geared towards gaming, and its full power allows the Switch to display Wii U quality games(and slightly better) while in handheld mode, albeit at 720p. In order for Sony to top this in any way, they’d either have to sign a contract with NVIDIA to use their newest chips, the Tegra Pascal series, contract AMD to try and get something similar, or make their own proprietary chip. However, even if they went with the latter, it would still likely force the system to be larger than the Switch due to the increased battery size they would need to sustain that much power in such a compact form. If they went with NVIDIA’s tech, it would likely be more power efficient, however, Tegra Pascal’s potential as a gaming chip is unknown, and there’s a possibility it still doesn’t quite reach the PS4's level, and that’s kind of a requirement if you’re going to make a handheld that can play PS4 games without downgrading them. There are multiple negatives to trying to make a handheld PS4 at this time. Console size, battery size, pricing, they’re all key factors in whether or not consumers will buy your product and if it’s even viable to produce. At $300, the Nintendo Switch is certainly selling. Nintendo can’t keep up with demand due to shortages of certain parts. And yet they’re managing even with what some consider to be too high a price for the system, a short battery life, and somewhat large size. If Sony has to increase the power, size, and battery life to create a PS4 handheld, the price will also go higher, and it’s up for debate as to whether or not there’s room for a premium handheld device that costs between $400 and $500. I fully believe the Switch will receive phone/tablet-like hardware iterations, but the price will likely remain fairly the same due to power efficiency improvements and discounts from NVIDIA on the chips. Sony likely won’t have those luxuries. But what do you all think, would a PS4 handheld be a viable product? Would you buy it if it existed?